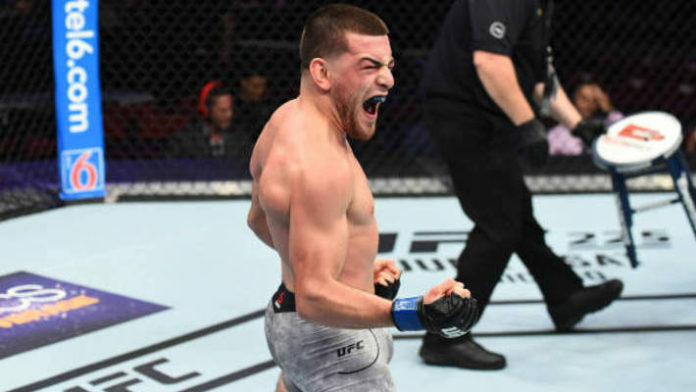 Jose Torres’ sophomore Ultimate Fighting Championship (UFC) outing has been set. Torres made his Octagon debut last month. He took on Jarred Brooks on the preliminary portion of UFC Utica. While things looked shaky in the opening round, Torres showed improvement in the second stanza and caught a major break. Brooks knocked himself loopy on a slam attempt and Torres capitalized on it with some ground-and-pound for the TKO finish. As for Perez, he’s riding a seven-fight winning streak. In his last outing, Perez defeated Eric Shelton via unanimous decision. Perez was signed by the UFC after submitting Kevin Gray on the fifth edition of Dana White’s Tuesday Night Contender Series. Perez hasn’t lost since May 2016. UFC 227 is shaping up to be a stacked card. In the main event, bantamweight champion Cody Garbrandt defends his 135-pound gold against T.J. Dillashaw in a rematch from their UFC 217 encounter. The co-main event will see Demetrious Johnson look to extend his record for most successful title defenses when he meets Henry Cejudo for a second time. Plus, light heavyweights Alexander Gustafsson and Volkan Oezdemir are set to collide. Do you like the match-up between Jose Torres and Alex Perez?